According to the British Acupuncture Council website ‘Up to 18% of the general population in industrialised countries are mildly affected by chronic tinnitus and, for 0.5%, tinnitus has a severe effect on their ability to lead a normal life’. Tinnitus is the medical name for the perception of noise in one ear, both ears and the head with the noise coming from inside the body rather than an outside source. People with tinnitus can experience different sounds with some describing it as a ringing and others calling it a buzzing, humming, whistling or even music. Acupuncture aims to help relieve tinnitus by stimulating specific acupoints to alter the brain’s chemistry, increasing neuropeptide levels and reducing serotonin levels. It also helps to reduce inflammation by promoting the release of vascular and immunomodulatory actors and increasing local microcirculation which can also aid in the dispersal of swelling. 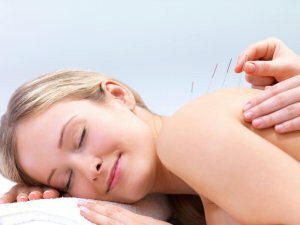 The British Acupuncture Council shows supporting evidence for using acupuncture to help tinnitus stating that ‘Controlled trials conducted more recently have all found acupuncture to provide effective relief from tinnitus, with one finding it more effective than western medicine’. At Acupuncture That Works we are happy to help if you are suffering from tinnitus and will be glad to offer you a free no obligation assessment and talk to you about the benefits that treatment could bring. Please call us on 0800 051 76 88 to make your appointment.